In the recent times more and more developing countries are moving towards the nuclear energy so-called clean fuel of the 21st century. India, Iran and later Pakistan is stressing upon this nuclear resource (we are not talking about nuclear warheads here). When the first combustion engine was mounted in a vehicle, it had a charm of horseless ride. The world was so excited to see that happen. Industries, motor vehicle, printing press, etc. progressed human growth, at that time no one had ever thought that we will be facing such a big problem of global warming later. No doubt nuclear energy promises a solution to the current energy crisis and reduction in global carbon level in the future, but we refuse to see the ill effects of nuclear energy and leaked radiations which can be even more disastrous to the life. A study by J. P. Descy and C. Mouvet titled “Impact of the Tihange nuclear power plant on the periphyton and the phytoplankton of the Meuse River (Belgium)” said that Phytoplankton and periphyton were affected during low water flow. In the reach downstream of the plant, the maximum observed temperature increase is 4.2 °C and the maximum decrease in dissolved oxygen is 15%. 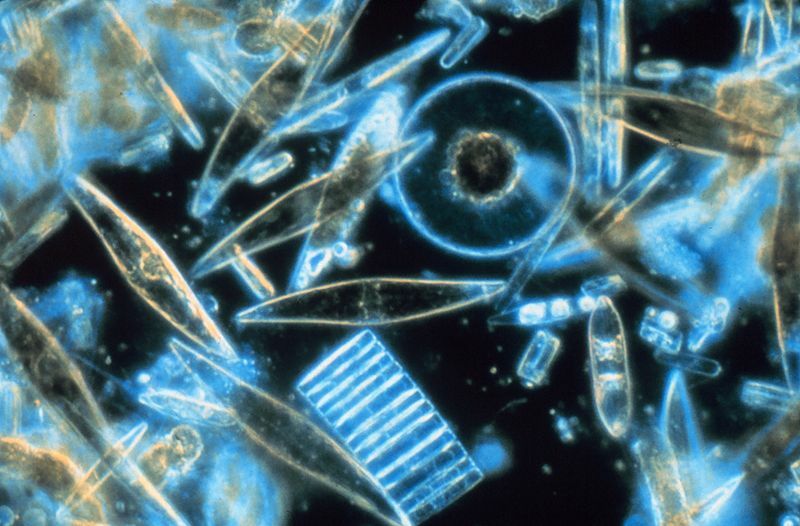 Phytoplankton are responsible for half of the photosynthesis activity on the earth. Hence, phytoplankton are responsible for much of the oxygen present in the Earth’s atmosphere. And so most of the nuclear reactors which are situated on the coasts are contributing to the depletion of oxygen. We cannot afford to lose oxygen in a bid to reduce carbon emission. After three mile Island and Chernobyl incident, it is hard to believe that the people of developing countries are so confident and keep faith in this resource. As Helen Caldicott, co founder of Physicians for Social Responsibilty said in her article ‘Nuclear is not the answer‘: Nuclear reactor routinely emit noble or inert gases which are fat soluble and can get inhaled by anyone living near a nuclear reactor. Not only this, but nuclear radiation have capacity to give our tissues an irreparable damage. The radiation effect is not only near the reactors, but can also be seen in then uranium mines. Once the nuclear energy is harnessed, the safe disposal of its waste is another serious problem, no country has been able to come out with a perfect solution until now. Wherever you dispose it, there remains a risk of contamination of the soil, water, vegetation, etc. Developed countries who have played enough with this technology are now trying to stay away after watching some disastrous incidences. the UK, US, Japan and France have shut down their breeders and now selling their spent fuel waste to the developing country like India for its reprocessing, which is a very risky task for both the environment and life of the people, it also involves a risk of terrorists stealing the fuel for destruction purposes. These countries bring their ships fully loaded with toxins and leave it on the Indian shore for the local authorities to dismantle and dispose, in this case even if any accident occur, the damage will be done only to the Indian waters and coast. Nuclear reactors are also favourite target of terrorists as they just have to do a little mischief and rest is taken care of by the uncontrolled radiations. Which gives slow and painful deaths. Iran, Pakistan and India all are infested with terrorism. Dr. Mae-Wan Ho, in his presentation at Institute of Science in Society, London: http://www.i-sis.org.uk/PTTP100PCR.php: talked about the potency of renewable resources in the future. If followed and spent money on that instead of in nuclear technology, we can build much greener and safer world.